Yes.. the Gods finally descended. 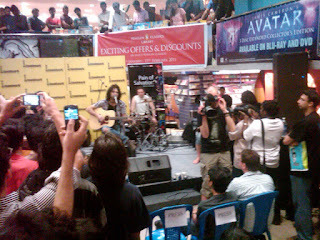 :) But for the 'over enthusiastic' singalongs, it was an 1+ hour of awesomeness. Waiting for the event at Saarang, IIT-Madras.